i love all about this outfit ! especially the sweater is great! WOW ! You look amaizng ! I love it. you look great, red looks awesome on you and I adore your sweater..
loving the mix of textures so much! ohhh dear I just love your style so much! Red and grey were meant to be together! You look super stylish and chic once again! Oh the watch is fabulous! I love men's watches , they are the perfect accessory. I love the outfit. the leather pants are perfect! love your style! I love the sweater with elbow pads. So great!! Well done with the scarf! The pop of red was a perfect finishing touch, love the elbow pads! i love that leather pants. 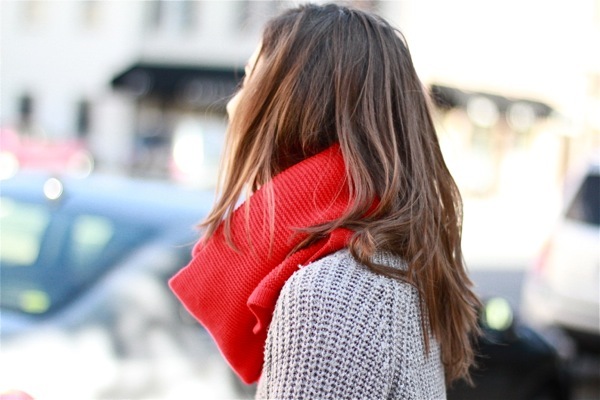 The red scarf it's a great detail that makes a dark look very special and different! Perfection!!! The leather, the pop of red. So feminine yet cool at the same time. Love it. That sweater looks so comfortable. I love it! super gorgeous! i love that pop of color on you! I like it, so simple! You have an awesome blog!! Just found it while blog hopping haha! Love your style!! It's amazing!! Шикарный свитер!серое с красным обожаю! I love that sweatar!! The outfit is really cool! I really love this! 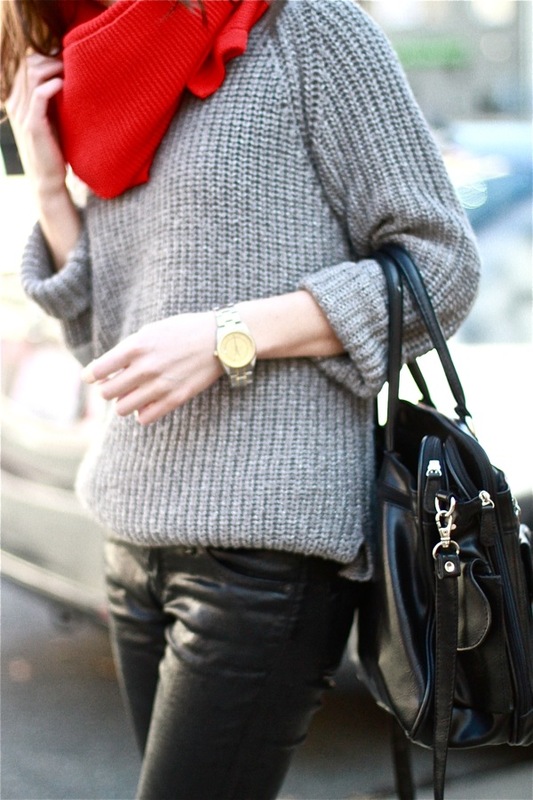 I love the contrast between the edgy pants & the casual sweater, and the pop of red is just perfect this with this! Gorgeous!